I’m very lucky to have some amazing blogger friends, but one of the most talented friend’s I have is Koko from www.funkawaii.com. 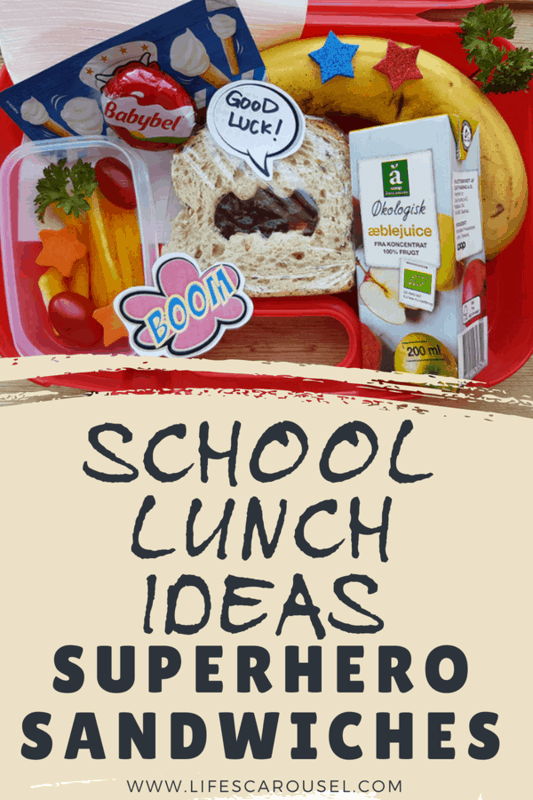 She is a kind, thoughtful and amazing mom who loves to brighten her son’s day with novel school lunch ideas. Her blog shows you step by step, how to create a fun and original (and yummy) school lunch! 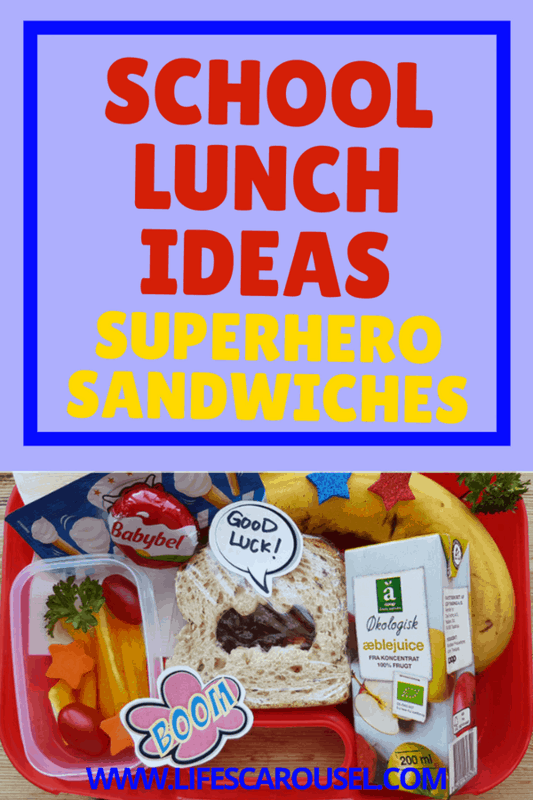 Fun Food – Ultimate School Lunch Ideas! Tip 1: Use Paper Notes / Food Picks / Stickers! Koko’s blog is relatively new, but her work has already been featured on top news websites around the world, so I jumped at the chance for her to do a guest post for me. 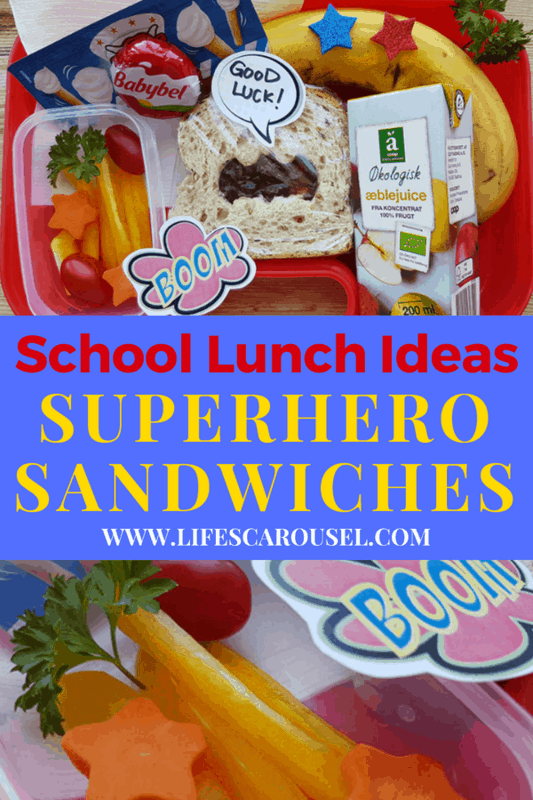 And more importantly, teach me how to make fun school lunch ideas for my own kids too! We all love our kids ’ WOW face – Their eyes get bigger and sparkling, full of excitement! Well, that’s what happens when you make fun food for kids! Hi! My name is Koko, I run the blog funkawaii.com – it’s about Food Design for Kids and Activity Inspiration. I’m originally from Tokyo, Japan, and in Japanese culture, there is a huge pop-culture called Chara-Ben. It’s a character-lunch box where Japanese mothers use food to make shapes of characters, such as superheroes, Hello Kitty, Pokemon….you name it! I now live in Denmark, where my Japanese x Danish mix son goes to kindergarten. I make a lunch box for him a few times a week. I started making Fun Food just because I was inspired by those Japanese moms. Not only my son loved it but it totally blew away all the Danish kids in his classroom, and even teachers from other classrooms came in to see it! Since then when I send my son off to school, kids come to me and ask if I have made a lunch box. When I do, they want to take a peek… so I slowly open a lunch box… they all go “WOW! Hvor Sej!” (Wow! How cool!). Looking at their and my son’s reaction is priceless! However. We have a huge problem. We simply don’t have time to make detailed fun food for kids. I know that parents are the busiest people in the world, after the President of America or big company CEOs! But you know what? We don’t need to spend a lot of time to make a fancy lunch! With little tricks, we can still make awesome school lunch ideas fast! In this post I am going to share my tips and tricks, I hope you’re as excited as I am! Before making a quick, easy but yet cool lunch, I interviewed Sasha (the author of this blog!) to see what her kids (and her) would like. Ok, it’s gonna be a challenge! And of course, food has to be tasty and is a good portion so they will be satisfied – both visually and physically. So I decided for someone like Sasha, I should use a lot of cool lunch accessories! She doesn’t want to spend time on actually making shapes with food, but she could use ready-made accessories to save time. Tadaa! This is what I made. Here’s a close up of the Superhero Sandwich! Keeping this school lunch idea simple with just a few basic tools. Sign up at funkawaii.com to get access to the printable library, which includes the comic book speech bubble and “BOOM” sign! Take one piece of bread, use the bat cookie cutter to cut out the shape in the middle of it. Next, take the other piece of bread and just spread with peanut butter and jelly. Tip: Spread peanut butter first, then the jelly after. The reason is the jelly has a dark color, so it looks better when you put the “bat bread” on top – the logo stands out more. 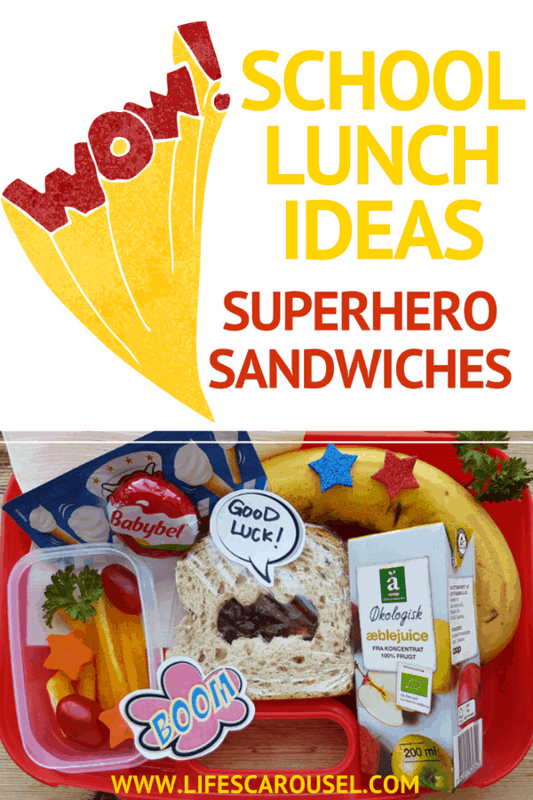 Add some fun with paper notes, food picks and/or stickers to decorate your school lunch idea. Those are great to help food looks more exciting and fun without spending ages preparing it. I like to hand-write a message for my son. This makes kids so happy. Nothing makes food taste better than a bit of their parent’s love! Stickers are not only for notebooks, you can use them on food too – why not!? I decorated the banana, with shiny star stickers! 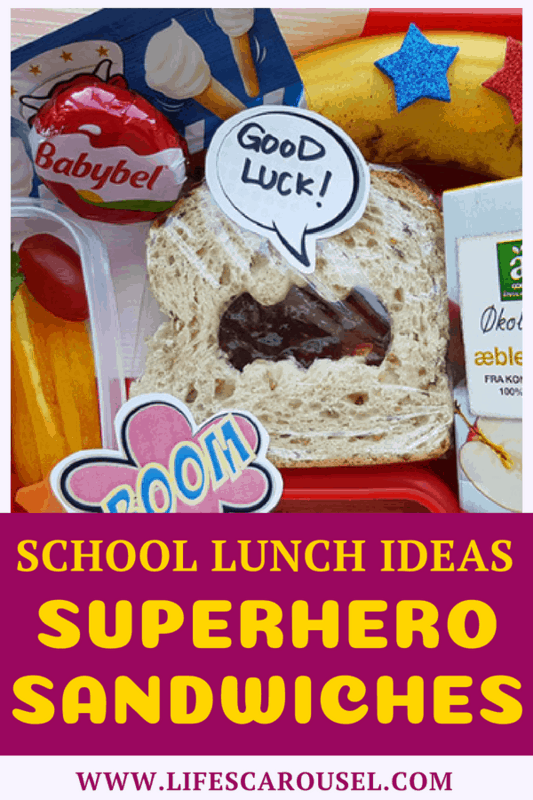 PLUS lots of other school lunch ideas! My next tip is how to make vegetables more fun. Instead of just slicing vegetables I often use cookie cutters to make shapes. I have a bit of carrot culture-shock story! In Japan, carrots are super round and thick. But In Scandinavia, they are really thin! So my problem was the normal cookie cutters I bought in Japan didn’t fit. I had to order a smaller size! Food is very easy to be mainly brown. To avoid it, I try to add vivid colored food such as orange, yellow, red, or green. Most are vegetables and fruits, which are very tasty as well. Whenever you are thinking of school lunch ideas, think about color. When the food looks pretty and cool – kids eat more! I added some cheese for calcuim and a juice box to finish off the lunch box. 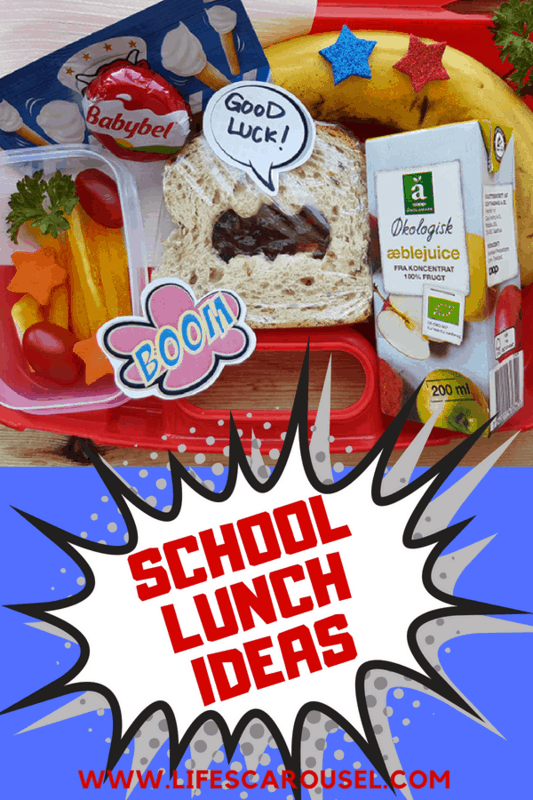 A balanced, fun and yummy school lunch idea! So that’s all for now. 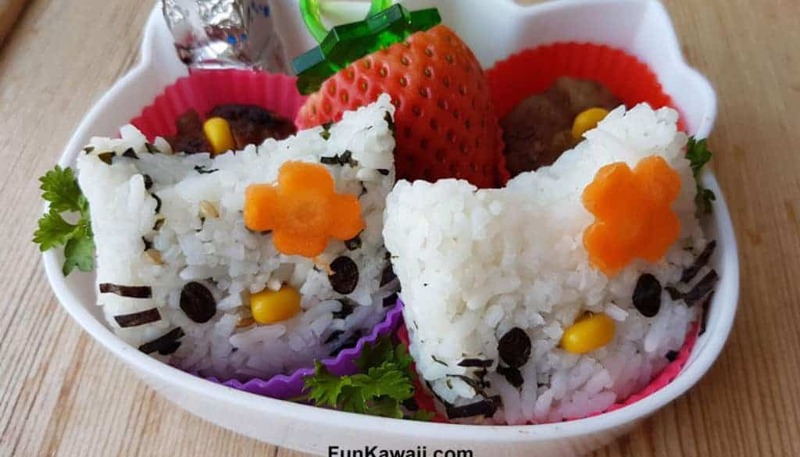 I have lots more fun bento box school lunch ideas on my blog! If you are curious, feel free to come to visit my site at funkawaii.com! Let’s make your kids go WOW!